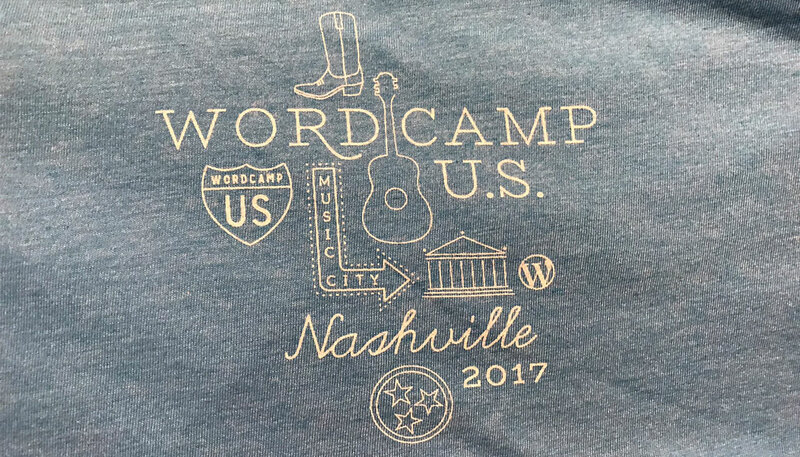 The annual national conference for WordPress, WordCamp US 2017, was hosted in Nashville at the Music City Center (and it will be again in 2018). 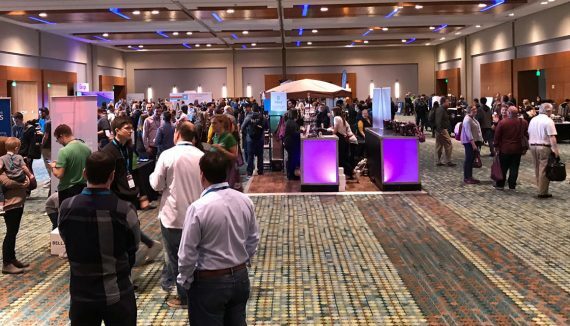 Nashville Geek was proud to welcome 1500 talented WordPressers from around the world to our home turf for this spectacular three-day celebration of all things WordPress. We had a chance to make some new friends and introduce folks to the local cuisine. “Where’s the best hot chicken?” and “Where’s the best bar-b-que?” were the biggest questions we received by far—Prince’s and Martin’s in case you were wondering. The WordPress community is a broad one: with everyone from developers like us, to business owners, to plugin authors, to designers, to folks who make a living supporting us with their own services. It was fantastic to see all these forces sharing ideas and hospitality in the same place. WordPress is a community-driven, open-source software platform, and the WordPress community itself is built by volunteers locally and nationally who care about bringing people together to support the project. With that spirit, I joined the organizing team this year, behind-the-scenes making sure the venue and hospitality were all humming along as they should. (After the weekend, I calculated I’d walked 19 miles working the conference.) It was humbling to see folks who had traveled from around the world to work on the project face-to-face with fellow users and developers. The conference gave us a chance to hear the latest practices for building sites, including accessibility, front-end code, and the introduction of Gutenberg. Gutenberg was the hottest topic of the conference, but we also saw talks on scaling WordPress for enterprise on AWS, integrating GraphQL, and continuous integration and testing. In addition to purely technical talks, there were also presentations on health and well-being, diversity and business practices. Accessibility is one of the most overlooked aspects of creating a website. Rian Rietveld’s talk, Accessibility Testing, Tools and Workflow, was a brilliant run-down of latest tools programmers can use to make sure your website is available to everyone. After all, accessibility is about more than helping people use your site. It increases the SEO value of your site by-proxy and can protect you from lawsuits stemming from websites not complying with ADA standards. Rian discussed ways to check your site for color contrast, limited vision field and readability via screen-reading technology. One of the coolest things we learned about was the new tab for checking accessibility built into the Google Chrome browser. The primary founder of the WordPress project, Matt Mullenweg, gives his annual “State of the Word” speech at the end of the conference. Among many of the statistics he went over at the introduction, the one we like the most is market share. WordPress currently runs 29% of the entire web. 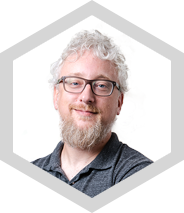 Matt also recounted some of the philanthropic efforts of WordPress, the growth of the community, and new additions to the latest version of WordPress, 4.9. Looking into the future of WordPress and the upcoming 5.0 version, Matt gave the stage to Matais Ventura, project lead for Gutenberg. This being the biggest change to WordPress in its history, there were lots of new features to show off. You can check out The State of the Word on wordpress.tv. From a technical point-of-view, the biggest thing we took from the conference was the change to the WordPress editor brought about by Gutenberg. While the technical details of Gutenberg are interesting in themselves, one talk in particular from Morten Rand-Hendriksen set the stage for how WordPress will move beyond the single browser and into all the devices wired to the internet in the future—Gutenberg and the WordPress of Tomorrow. 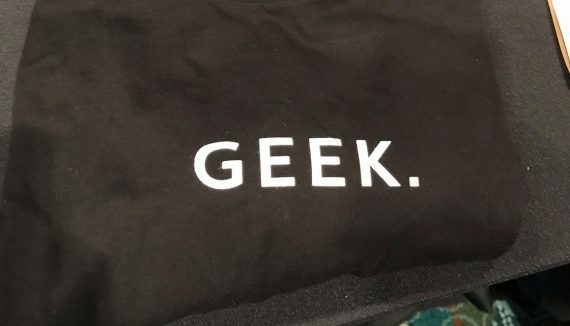 Our favorite piece of swag… the Geek shirt! From a personal point-of-view, I was blown away by the scale of the WordPress community at-large. I’ve helped organize our local WordCamp Nashville conferences, but having ten times the number of attendees was so exciting! We got to meet the folks that make our favorite plugins as well as meet some of the teams driving the concepts in WordPress that we’ll be working with for years to come. You can check out videos of all the talks given at WordCamp US 2017 at WordPress.tv. We’re looking forward to seeing you at WordCamp US 2018! Thanks for all your hard work on WCUS 17 Kenneth!